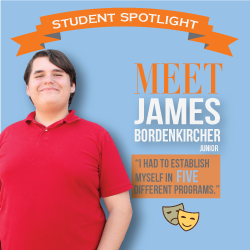 At the end of his sophomore year, junior James Bordenkircher decided to leave the International Baccalaureate magnet at University High School and attend his zone school. In attempt to make his mark in his two final years of high school, Bordenkircher joined five clubs. Describe your transition from University High School to Boone. Clubs made the transition from University to Boone less difficult. It was really hard because I had to adjust to both new students and faculty while working academically hard during my junior year. Why did you change schools in the middle of your high school career? I decided to change schools because the International Baccalaureate magnet that I was apart of was not the best option for me. 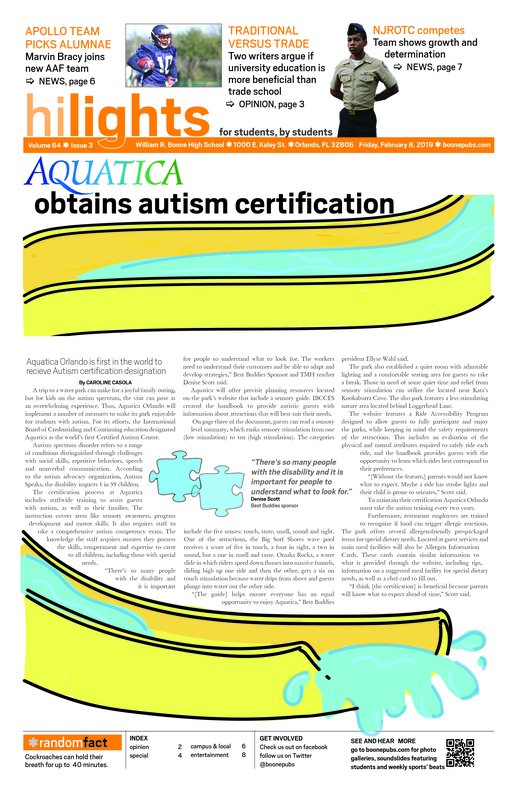 I could not participate in extracurriculars because that program was too academically demanding. Describe the difference between this school and University. I feel closer to my peers here at Boone after one year than I felt to my peers after two years at University. How did you assimilate here? The first thing I did was audition and join the improvisation comedy team and after that I slowly integrated into the band and the theater program including color guard, marching band, improv and [competing in] the district thespian festival. What was joining all the clubs like at first? Were there advantages to joining so many clubs immediately? What were they? I instantly made a ton of new friends. I was able to do everything I was passionate about and I did not have to worry about the academic pressure against me. Were there disadvantages? What were they? I still have very little free time. I switched from having no extra time because of schoolwork to having no extra time because of extracurriculars, [but] it was the best shift. What club is your favorite? Joining the theater program in general. Doing improv, being in All Shook Up and participating in the district festival were the highlights of my school year. I was able to accomplish more and its where I made the most genuine friends. Are you glad you changed schools? I like Boone so much more [than University] and I’m so glad I decided the magnet was not for me. I have been happy [with my choice] ever since my first improv audition at the beginning of the year.